My memories of my father are limited. Limited to the last incident that brought about the separation of my parents and limited to what a three year old can carry as memory. However I was brought up in very happy circumstances within a close and caring family and never had cause to give him much further thought. At 19, in 1963 I joined the army and the Grenadier Guards where I had an enjoyable time. 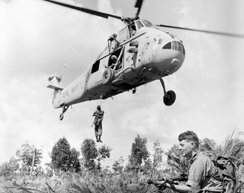 A couple of years later I decided to try for the SAS and when my mother heard of this she showed me a letter, or rather an envelope, that she had received from my father in the early 1950’s which showed he was serving with the SAS in Malaya at that time. I noted it but thought little more of it then. 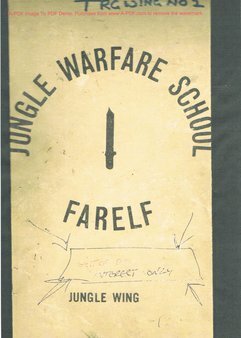 I failed the SAS selection during continuation training and subsequently joined the Guards Independent Parachute Company and prior to a posting to Hong Kong I completed a jungle warfare course at the jungle warfare school in Johor Bahru. Whilst I enjoyed my army time very much at 25 years of age I met a young lady I wished to marry. I thought an army career incompatible with married life and so purchased my discharge after 6 years of a nine year enlistment. I have no regrets. In recent years I have carried out some research into our family’s history but did not concern myself with my father until very recently. When I started to search for him despite having the basic details, Dennis Walter CROSS with an army number from my birth certificate I found some difficulty in a positive identification. 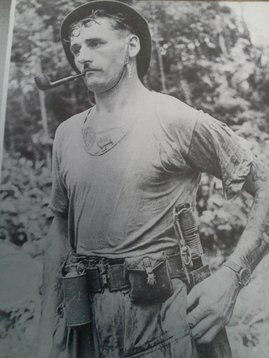 I do quite a lot of Internet searching for various interests and while I was searching around came across a photograph of a Mr Cross on http://wingedsoldiers.co.uk/sas-malaya.html . I was struck by the likeness to both myself and my sister as were other members of my family. So I made enquiries of the website, and a very helpful Peter Seal who I would like to thank very much, but the early enquires I made as a result of this seemed to suggest it was not the man I thought, he had a totally different army number. The likeness was too good to pass over just like that so I continued with my enquiries and when I learned that the initials of Mr Cross, or Danny as he is often referred to were actually D.W. I became convinced that I was on the right track. I made an application for my father’s service records and they confirmed that my father had served during the Second World War under one number, had been discharged after the war and re-joined shortly after with a new number. He was then posted Home in September 1946 until December 1946 when he was released to Class Z(T) Reserve. 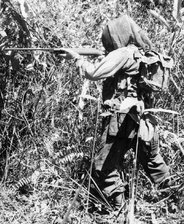 In July 1950 he re-enlisted in The Kings Own Border Regiment and from 1951 served with the Malayan Scouts and SAS Regiment in Malaya until 1956. He then returned to serve with The Kings Own Border Regiment until his final discharge in 1972. During this time he suffered shrapnel wounds in 1945 and was awarded the General Service Medal with a clasp for Malaya and later a clasp for Northern Ireland. He was mentioned in despatches in 1954. The memories I held for this man, which were not very pleasant have now been modified by new knowledge and experience. 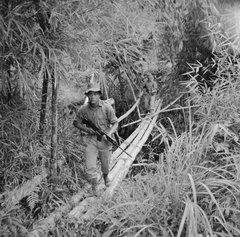 I experienced myself a little, a very little of the Malaya that he fought in, of the jungle, the terrain and the environmental conditions it provides for both friend and foe. I know a little, a very little of the life he must have lived while he was there. However my scant knowledge was gleaned during peacetime without the slightest threat of an enemy while his time, his many, many years of time was spent at war and much of that at close quarters with those he fought. 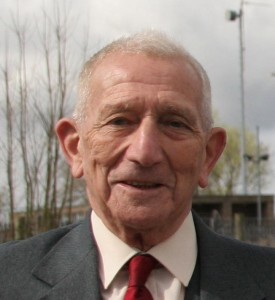 I cannot but admire the fact that he served throughout the second world war in a regiment and as a commando and when that war was done and he had the chance to live a safe and secure life from the efforts he and others like him had made he re-enlisted to serve yet again in another conflict. Whilst I cannot condone the incident I witnessed it would be wrong to make judgement on one incident alone as I have done. We can all make mistakes and now that I know something of his service record I can only be very, very proud of my father, Mr Cross. Major David Sharp, who we recently met at the Chatham Militaria Fair. 14472846: Intelligence Sgt (later Major) David Sharp, BEM: Born Hackney 12.1.28. Formerly Malay Scouts, then HQ 29th Indep. Infantry Brigade Group att. 1st bat. Royal Northumb. Fus. 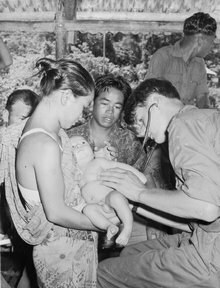 : In Korea at time of capture was with UN Partisan Forces Korea (UNPFK) behind the lines - last and 946th POW to be released in Sept. 1953 aged 25 years, Volunteered Sept. 1945 as a regular in Malaya. Captured at Imjin River 25.4.51, three times wounded. 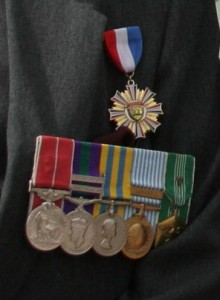 Awarded BEM (Military) for “gallant and distinguished services whilst a POW in Korea” and US Gallantry Award. Made several attempts to escape and was in fact engaged on an escape near the end of his captivity. Was incarcerated in the notorious “wooden boxes” and gave up the chance of a GC award because as senior NCO, he recommended a comrade, Fus. Derek Kinne, in his stead. Arrived home on troopship “Dilwara” at Southampton. WIA/MIA and beaten badly by guards; charged as a war criminal because he refused to give information. Now a Major (retd.) David was CO of the 16th Indep Paras. Is today trainer of Special Forces and Govt. Agencies especially in Africa. 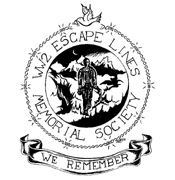 There were only a handful of Allied soldiers who escaped from POW camps during the Korean War (1950-3) and little is mentioned or generally known in the UK about this war and the men who fought in it. 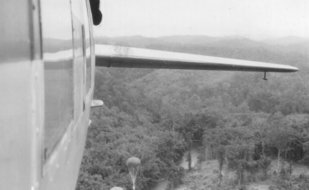 ELMS Vice–President, Major David Sharp, was one of the few who escaped. 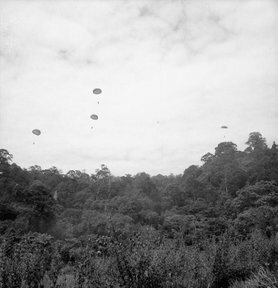 Although British authorities officially denied any British personnel were on special operations in Korea, there were in fact five. David enlisted in 1945, and was posted to the Far East in 1946 on ‘special duties’, before becoming an instructor at the British Jungle Warfare School. After the outbreak of the Korean War in June 1950, the US Army were looking for personnel with ‘behind the lines’ experience and David volunteered, serving with them on intelligence operations deep inside North Korea from the end of 1950 until the end of March 1951. David was due to be returned to his Battalion, when the Battle of The Imjin River occurred and he was wounded and captured whilst trying to break a Chinese road-block. He was left injured at the side of a road, with several others, without any treatment or assistance for five days. Eventually, recognising that the wounded men were no threat, some Chinese soldiers gave them food and two days later the wounded soldiers were put into the back of a pony wagon and taken to the POW collection point. Once there, David faced his first of many interrogations and three weeks later he was put onto a death-march of over 300 miles. It was during the march that he made his first escape attempt; but after four days he was re-captured by Chinese troops. David was ‘worked over’ and returned to the march. He later arrived at a place called Mun-Hari, where several ‘special’ POWs [including David] were taken away from the column and interrogated severely; this included being bound with rope and placed in a bunker for 28 days; and being tied to a tree in front of a firing squad who then went through the very realistic motions of being about to shoot him – this was intended to frighten him, and David admits that it did! After another march north, David’s interrogation and confinement continued until February 1952, when he was placed in front of a tribunal and accused of being an intelligence agent and being a ‘disturbing element in the POW camps’ – i.e. causing trouble for the Chinese authorities. He was sentenced to be transferred to a ‘special place’ then handed over to the Korean Security Police and put into a Korean jail. Whilst in jail, David was joined by Lieutenant Leo Adams-Acton, who had also been a member of the UN Partisan Forces Korea (UNPFK), and who had been captured in December 1951. Although both men were in isolation, they managed to established communication. They eventually escaped, but were re-captured after 4 ½ weeks on the run and placed back in Chong Song. David was later moved to Ogye Dong Penal Camp, and remained there until June 1953. He has the dubious privilege of being the last British POW to be handed over by the Chinese on 06 September 1953; they insisted he was the last prisoner to leave the truck! Lieutenant Leo Adams-Acton, with whom David escaped, was executed by the Chinese in July 1953, the very month that the Korean War ended. Following his release David was awarded the British Empire Medal in 1954 and also the Korean Partisan Honour Medal; Lieutenant Adams-Acton was posthumously awarded the Military Cross for a very Gallant Operation.